A special Remembrance Day Event is taking place in Stroud this year. Noted historian Dr Jonathan King is presenting his acclaimed documentary The Western Front – Last Anzacs Tell All. The film includes interviews Dr King was privileged to have with the last ten Anzacs. Dr King has written and produced 30 books on Australian history, including ‘Great Battles in Australian History’, ‘The Western Front Diaries’ and ‘Gallipoli Diaries’. Dr King and the Friends of St John’s Stroud invite you to attend this special remembrance day event. 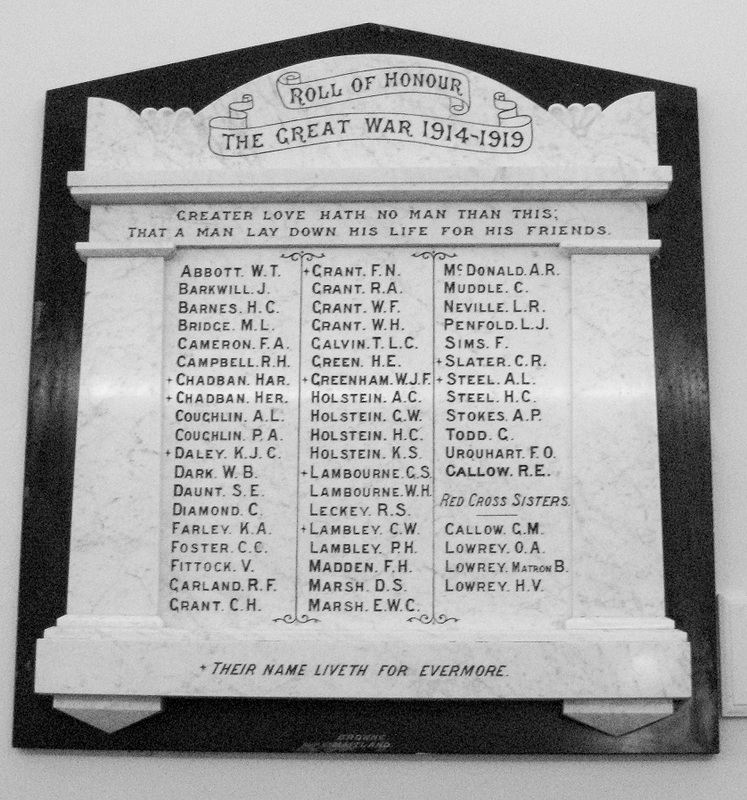 The walls of St John’s Church, bear the names of 54 men and women from the parish who served overseas during the Great War, nine of whom did not return. Two brothers who served were Henry and Herbert Chadban. Henry, a police constable aged 29, enlisted in April 1915, was wounded at Gallipoli on 7 August and died of those wounds. Herbert, 24, enlisted early in 1915, served at Gallipoli and then in France where he was killed in action in May 1917. Also listed on the plaque are the nursing Lowry sisters and young Ken Farley. Ken was captured in 1918 and put to work by the Germans. With two English soldiers Ken managed to escape by crawling under and through the barbed wire on a dark rainy night, unseen by the four sentries on guard. Travelling by night and hiding by day, the three men made their way back through enemy lines. Young Ken was awarded the Military Medal in recognition of the gallant conduct and determination he displayed in escaping from captivity.